Just stunning! 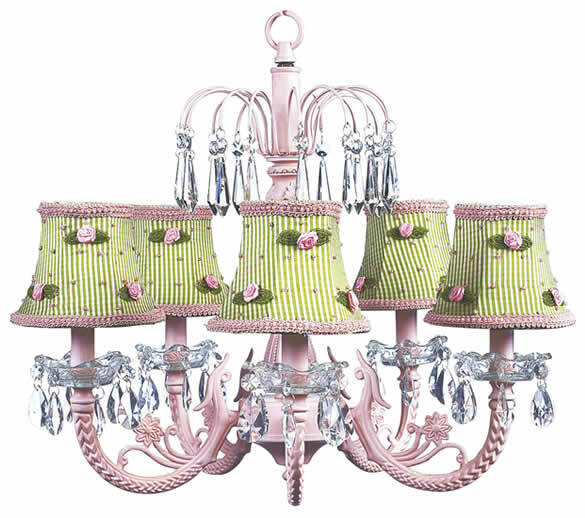 This pink chandelier has an intricate center that culminates in a waterfall of u-drop crystals. Crystal bobesches lined with tear-drop crystals encircle each arm of this darling pink chandelier. Please note that the lamp shade is no longer available. You may select from all children's chandelier shades.